Avoid a DWI: How much alcohol is too much? Several years ago the New York State STOP-DWI Association, Inc. launched the “STOP-DWI Crackdown Weekends” to better coordinate and promote county efforts to achieve greater visibility of DWI enforcement activities. The Association has found that when there is visible and reported heightened watch; drivers are less likely to get behind the wheel intoxicated. In fact, studies have shown that when there is highly visible law enforcement present on the roads driving fatalities can be cut by 20%. The first line of defense is: Just don’t do it. I’m sure you’ve been told many a time how to avoid a DWI arrest, but, let me reiterate some tips to you before going into this holiday season. PLAN – if you are planning to attend a party or event, select a designated driver in advance. If you don’t have a designated driver, use a car service, Uber, taxi or call a friend. Don’t attempt to drive drunk or drive with someone under the influence. 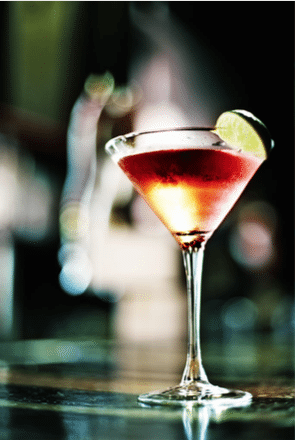 DON’T OVER DRINK – the legal driving limit in most states, including New York, is .08% blood alcohol content (BAC) which is the equivalent of 2-3 beers or 3 glasses of wine depending on your age, height and weight. To calculate your personal blood alcohol concentration, visit bloodalcoholcalculator.org. WAIT –it can take your liver up to two hours to process alcohol from one beer. Wait two hours for every beer you drink to be sober enough to get behind the wheel. SLEEP IT OFF at a house – as long as you are safe at your family or friend’s house, stay there. Sleep it off before getting behind the wheel. Don’t forget it’s time that sobers you up. Don’t think a short 30 minute cat nap will do the trick, wait it out, and stay for breakfast the next morning. Sleep it off in your car – “sleeping it off” in your car with the keys in the ignition may not be a good idea. If the police find you intoxicated, sitting in the driver’s seat of your car and they reasonably believe you had the intention to drive, you can be charged with a drinking and driving-related offense. Don’t forget, police often position themselves at a vantage point which is helpful to them to see patrons leaving a bar or heavily trafficked restaurant. Don’t think they won’t pay attention to your ability, or lack thereof, to walk back to your vehicle. STAY IN – invite friends and family over for a celebration. If someone is drinking, take their keys and let them sleep it off before allowing them to get behind the wheel. If you are hosting a party, please be aware of the Orange County Social Host Law. What is a Driving under Influence (DUI) Checkpoint? At a police checkpoint, you may be briefly stopped, and questioned without any specific or individual suspicion whatsoever. And yes, this is completely legal. 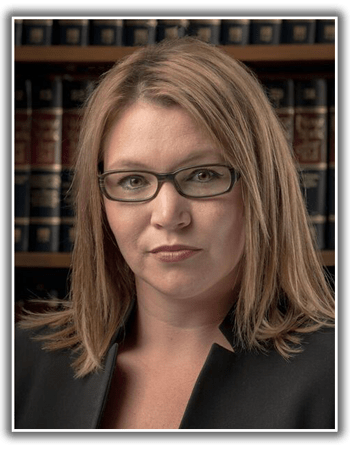 The U.S. Supreme Court has ruled that the dangers of drunk driving outweigh the intrusion to an individual that takes place during a sobriety checkpoint. Checkpoints, also referred to as roadblocks, are often selected on a completely random basis. So don’t think because you haven’t seen one in a specific location you won’t this time around. So you encounter a checkpoint, what next? Police can stop every car and ask if you have been drinking. If there is reasonable suspicion that you are intoxicated through visible signs such as bloodshot eyes, odor of alcohol, slurred speech, or slow verbal responses, the police may ask you to perform a sobriety or breathalyzer test. What are your rights during a Checkpoint? Do you have to speak? No. Do you have to submit to the breathalyzer? No. However, failing to comply with these tasks coupled with the police still having reason to believe you have been drinking and driving can still enable them charge you with a drinking and driving offense. In fact, in some cases, refusing may result in harsher penalties than if you complied. You refused the breathalyzer, now what? Your license will be automatically suspended at the time of your arraignment. The DMV will thereafter schedule, within 15 days, a refusal hearing before an administrative law judge at the Department of Motor Vehicles. In the event you lose the hearing your license will be automatically revoked for a period of one (1) year. Also, in contrast to a driver who submitted to the test and failed, you will be ineligible for a conditional driver’s license during that time. If faced with a refusal hearing it is strongly encouraged that you hire an experienced DWI attorney to ensure your rights are protected. Don’t forget, anything you say can and will be used against you. When the officer stops your vehicle at the traffic stop and asks “Where are you coming from?” or “How many beers have you had?”, the answer you give to those questions may give rise to a reasonable suspicion of drunk driving and may result in you getting pulled out of the vehicle for further questioning or tests. What should you do if you are arrested? If you do find yourself in the unfortunate position of being charged with DWI/DWAI it is imperative that you contact an attorney immediately. Only with the assistance of competent legal counsel can you truly be assured that your rights and license to drive are protected. So remember to have fun this holiday season but also remember to keep yourself and loved ones safe by not drinking and driving. 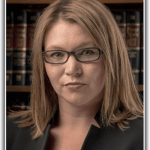 Andrea L. Dumais is an associate attorney with the firm and practices Family, Matrimonial and Criminal Law. She can be reached by phone at 866-303-9595 toll free or 845-764-9656 and by email.